So you’re trying to think of a great idea for this years Christmas party. We thought we’d do a little bit of research ourselves and find out what the most popular christmas party themes are this year. We were quite surprised to find the ‘Ugly Jumper Christmas Party’ was one of the most popular themes, while the all time favourite is the ‘Winter Wonderland Party’. One our favourite themes is the ‘Beach Christmas Party’ perfect for a New Zealand christmas. 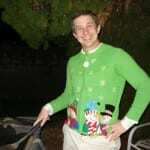 The Ugly Jumper party theme is a great opportunity to show off those items of clothing hiding at the back of the wardrobe loved but never before worn in public. Complete the look with a pair of 80s stone washed jeans and some cheesy christmas music, everyone will have a rollicking good time. Aside from being the title of one of the most beloved christmas songs of all time, you can have fun in the snow while remaining nice and warm, with snowflakes and ice sculptures. Enjoy all the festive magic of winter without the cold. At Silverstream Retreat we have a beautiful open fire place perfect for snuggling up by with hot chocolate and marshmallows or perhaps frozen martinis to celebrate at the end of the night. 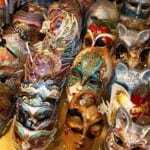 Masquerade Balls are all about masks, the mystery and intrigue. Traditionally at a Masquerade Ball guests are encouraged to conceal their identities from one another until the final dance at midnight which ends in the unmasking. 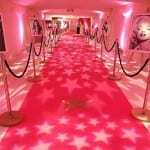 Bright colours, glamour and luxury should be part of the venue decorations, perhaps even a black carpet at the entrance with a masked string quartet. Ladies and gentlemen! Welcome to the land of the rich and famous! The place where dreams come true! 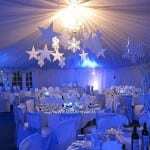 Celebrate in style and enjoy your christmas like a celebrity with a glitzy Hollywood/black tie themed party! Have a VIP welcome, as guests walk down the red carpet, with the flashing cameras of the paparazzi on hand to take pictures of your grand entrance, enjoy champagne on arrival and indulge in a traditional christmas dinner. Sing along to all your favourite movie songs. 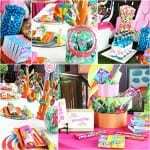 Relive the glory days of childhood with a Willy Wonka Chocolate Factory inspired party. Ditch the diet for the night with chocolate fountains, sweet feasts and candy floss machines with Oompa Loompas on hand to serve you and your guests. Treat your guests with a chocolate bar – who will find the golden ticket? 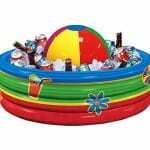 Why not embrace the kiwi christmas and have a beach themed party. Hang a surf board on the wall, through beach balls around the room and serve up some hearty hotdogs and cranberry burgers. Your guests can wear their flip flops, sunnies and favorite summer shorts. Let your guests entertain themselves with a game of backyard cricket or a more leisurely game of petanque. If you have any other fabulous ideas for Christmas parties, let us know.